Receive a temporary password via email. contractors. 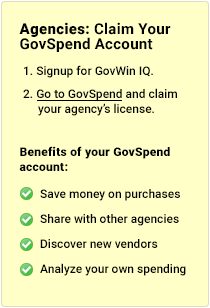 If you are a government contractor or are looking to do business with the government, learn about GovWin IQ Solutions for Vendors.